Many of our more persistent garden pests are not native to Australia but citrus gall wasp is definitely an Aussie grown garden variety pest. Originally, this native wasp was limited to Queensland and northern New South Wales and its preferred host was native finger limes. But citrus gall wasp has rapidly adapted to the wider variety of citrus fruits now on offer. Since the 1990’s it has successfully migrated from Queensland, through NSW and can now be found as far south as Melbourne where it is virtually endemic in the iconic back yard lemon tree. What: Adult citrus gall wasps are rarely seen as they less than 3mm in size. The adults are poor flyers but can be windblown from other citrus trees nearby. The adult wasps mate in early to late spring when the female implants her eggs in the citrus tree that she herself emerged from just days before. Each female can lay up to 100 eggs, usually under the bark of new shoots, and the larvae hatch after 2 – 4 weeks. 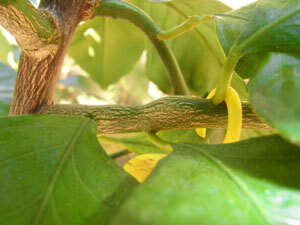 Often the larvae are already present in newly purchased citrus trees in spring. The wasp larvae grow within the soft stem tissue for 9 to 12 months until they too pupate and emerge as adult wasps the following year. Now that the effects of climate change are being experienced, the life cycle may be repeated during a single year instead of just egg-laying in spring. 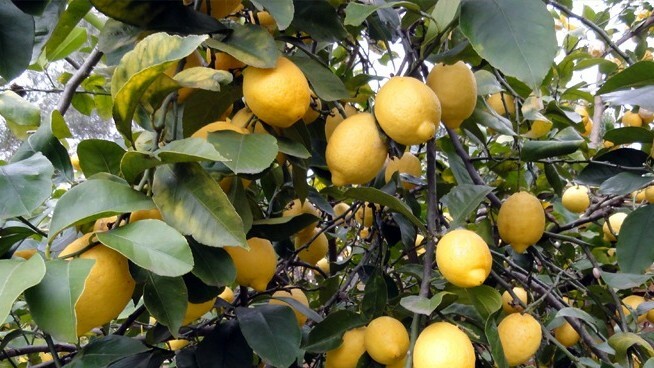 Plants affected: All citrus especially lemons and grapefruit. 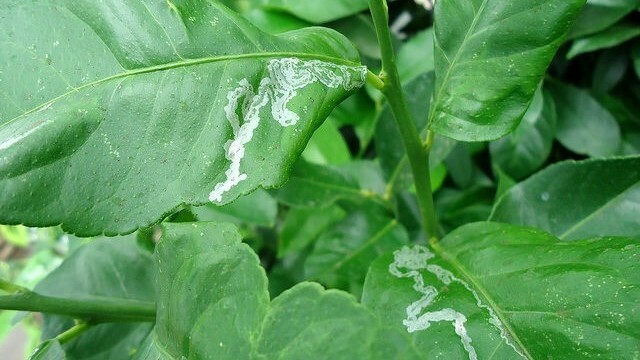 Damage Caused: The wasp larvae grow within the citrus stems until late summer when gardeners start to notice unsightly galls appearing on their trees. These galls or calluses are formed in response to the presence of the feeding larvae. Galls cannot be ‘cured’ or reversed. Old galls are unsightly but are also empty as the adult wasp will have left through the tiny exit holes. Developing galls can be removed but this may also mean the loss of developing fruit at the end of the infected stem. Citrus gall is more damaging to younger citrus trees than older trees. Avoiding high nitrogen fertiliser in spring as this promotes soft sappy growth – just perfect for the egg laying stage. Feed trees in late autumn and early winter instead. Removing all newly formed galls that don’t show signs of exit holes before the end of winter. Old galls have already been exited. Prune only a maximum of 1/3 of the tree to avoid stressing it too much. From mid-August, hanging yellow sticky traps with a chemical attractant inside to trap emerging adult wasps. The yellow is an attractant and the sticky coating makes it impossible for the wasp to escape. Remember to twist the top so that the chemical is released. Since beneficial insects may also be attracted to this trap, do not leave on after November as the wasps are no longer about and even small birds may become trapped. Destroying infected stems by burning or bagging.